FamilyFarmed’s Good Food Festival is holding a fundraising raffle for the first time. And we’re pulling out the stops to persuade you to participate. The Grand Prize is two (2) tickets to The Frontera 30th Anniversary Celebration that FamilyFarmed is co-producing with storied chef Rick Bayless and his Frontera Farmer Foundation at the Art Institute of Chicago on April 30. This memorable evening will feature leading chefs from Chicago, across the country and around the world discussing the future of food at a Good Food Forum — and turning the Modern Wing of the Art Institute into an All Star Culinary Food Court for Chicago’s tasting event of the year. 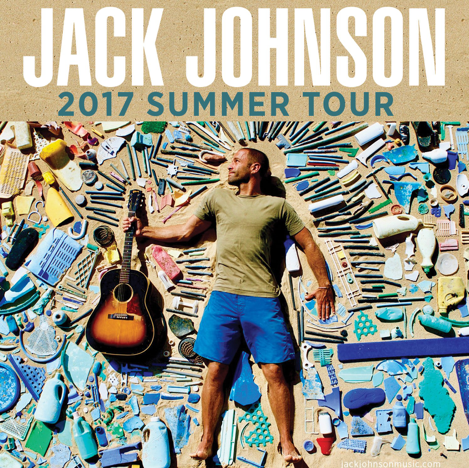 Second prize is two (2) tickets for musician Jack Johnson‘s concert on June 2 at the Huntington Bank Pavilion on Chicago’s Northerly Island. Johnson is a socially conscious entertainer and Good Food advocate (he last performed at that location during Farm Aid 2015), and his Johnson Ohana Charitable Foundation is going to match the raffle proceeds (see below). And the third prize winner won’t go away hungry, as it is a basket of delicious Good Food items donated by friends of FamilyFarmed. Raffle tickets will be sold in-person during our three-day Good Food Festival & Conference, March 16 to 18, at Chicago’s UIC Forum, and they are priced at just $10 for per ticket or 3 for $25. The drawing will be held at the end of the Good Food Festival on Saturday, March 18 — immediately following a chef demo by Rick Bayless himself! Entrants need not be present to win. Please visit the event website (click here) to learn more about the Good Food Festival & Conference; pre-register for the FREE Good Food Festival; and buy tickets for the Good Food Financing & Innovation Conference (Thursday, March 16), the Good Food Trade Show and Policy Conference (Friday, March 17) and the Urban Farm Bus Tour (Saturday, March 18). Now… more about those prizes! 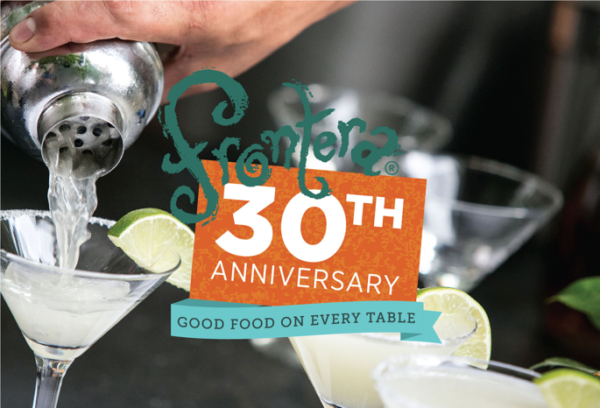 The Frontera 30th Anniversary Celebration marks the 1987 opening of Rick Bayless’ Frontera Grill, which established him as America’s leading advocate for regional Mexican food. Since the start of his restaurant career, Rick has helped local producers in the Chicago region thrive by sourcing his ingredients from them — and, since 2003, by providing them with nearly $2 million in grants through his nonprofit Frontera Farmer Foundation. Aside from Rick, the chef/panelist lineup include such national figures as New York City’s Marcus Samuelsson, Chicago’s Paul Kahan, Boston’s Ming Tsai, Washington D.C.’s Nora Pouillon and San Francisco’s Michael Mina; Mexico City’s Josefina Santacruz; and these other Chicago culinary rock stars (in alphabetic order): Johnny Anderes, Abra Berens, Abe Conlon & Adrienne Lo, Cosmo Goss, Jason Hammel, Stephanie Izard, Rob Levitt, Matthias Merges, Anselmo Ramirez, Mindy Segal and Erling Wu-Bower. FamilyFarmed and Frontera Farmer Foundation formed their philanthropic partnership because they share the goal of Good Food on Every Table: a healthier, more sustainable and more economically dynamic food system based on expanding access to food produced as locally as possible based on sustainable, humane and fair practices. Rick has been a frequent participant in FamilyFarmed’s Good Food Festival & Conference over its 13 years. This year, along with his chef demo mentioned above, he will participate on a panel during the Good Food Policy Conference titled Does Good Food Need to Be Local? FamilyFarmed is teaming up with Jack Johnson on his 2017 Summer Tour and All At Once, his social action network connecting nonprofits with people who want to become active in their local and world community. All At Once comes to life online at www.AllAtOnce.org — and at the Jack Johnson concerts where you can get informed, get inspired, and connect face-to-face with us and other local and national non-profits. All At Once promotes sustainable local food systems and plastic-free initiatives, and encourages action through the Capture Your Commitment campaign. Additionally, Jack Johnson’s charity is matching donations contributed to us at the show or directly to our organization through September 1. Make a contribution right now… or at the Festival… and your money will be doubled by the Johnson Ohana Charitable Foundation! But let’s not get too serious here: You’re playing for tickets to a concert by an amazing performer at one of the most beautiful concert venues in Chicago, located adjacent to the famed Museum Campus and right at 12th Street Beach on Lake Michigan! 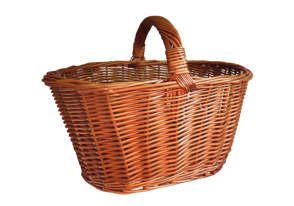 This third prize gift basket will be filled with Good Food goodies from Good Food Festival exhibitors and other FamilyFarmed favorites. Your only challenge will be not eating it all before you get home. Please take a chance — or three — on us by participating in the raffle, which will help fund the good work that FamilyFarmed does for Good Food. This entry was posted in Chef activism, Chef advocacy, Food activism, Frontera Farmer Foundation, Good Food Festivals, Sustainable conferences and tagged All At Once organization, FamilyFarmed, Frontera 30th Anniversary Celebration, Frontera restaurant group, Good Food Festival, Good Food Festival & Conference, Good Food Financing &Innovation Conference, Good Food Trade Show & Policy Conference, Jack Johnson 2017 Summer Tour, Jack Johnson music, Johnson Ohana Charitable Foundation, Rick Bayless, Urban Farm Bus Tour. Bookmark the permalink.